Botallack Mine, even before the Royal visit of 1865, was such a popular tourist destination that a Visitors Book was maintained in the Count House. That Visitors Book is now in the care of the Royal Institution of Cornwall in the Courtney Library. On 17 August 1868, among other entries, is Mr and Mrs R.M. Ballantyne, Edinburgh. Ballantyne was the celebrated author of Coral Island and this may well have been one of several trips made to Botallack made by the author whose book based on his experience of the mine, Deep Down, was published later in 1868. Ballantyne is said to have spent three months in St Just researching his book and the research paid off with a good reception and good reviews. Deep Down is a book about mining in the challenging conditions and remote landscape of St Just and possibly the most complimentary assessment Ballantyne could receive is this, “Many books have been written about the area but possibly the most informative and accurate on the lifestyle and techniques of 19th century miners is a work of fiction! Try and find a copy of Deep Down by R.M. Ballantyne”. This was not written by a reviewer or literary man but by ex-Geevor miner Geoff Tresedder, a man not easily impressed by literary attempts to represent the mining business. Take a bow Mr Ballantyne! Ballantyne was one of about 278 people to visit Botallack in 1868, mostly between March and October. While no actual charge was made Botallack was a trail-blazer in hosting the free tour for which the visitor was encouraged to make a donation, in this case half a guinea. Cyril Noall writes that a ledger was kept in the count house which recorded all these donations but there is no sign of them in the Visitors Book. The visitors to Botallack came from all over the world, just as they do today. C.C. James, who used to own the Visitors Book, lists: France, Holland, Belgium, Saxony, Prussia, Russia, India, China, Borneo, South Africa, USA, West Indies, Newfoundland, Nova Scotia, British Columbia, Australia, New Zealand and South America. The very last visitor in the book, on November 21, 1876, is W. R. Sarkett from Saratoga Springs, New York State. Sarkett signed the Visitors Book more than two years after the previous visitors who made the much shorter trip from Alma Villa in Nancherrow, on June 19th 1874. Why were there no further visits apart from that of Mr Sarkett? 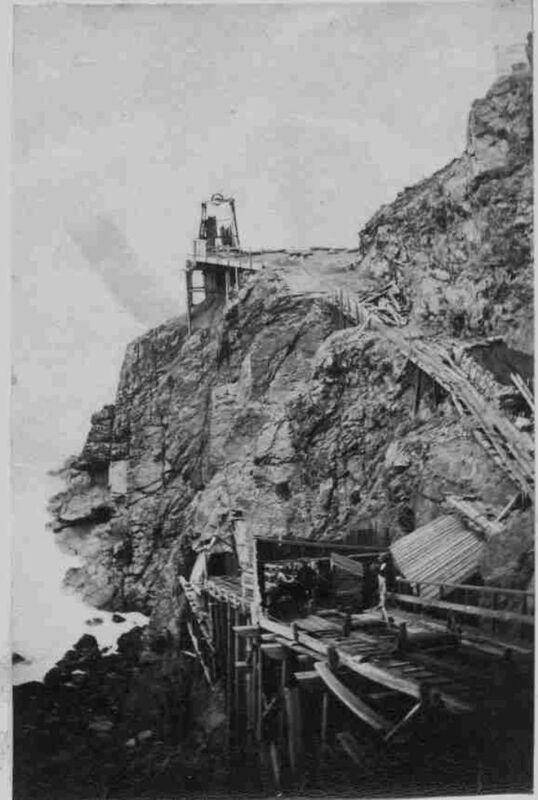 By 1872 Botallack was running at a loss and on February 25th 1874 it was decided that the whole of the Crowns and Wheal Hazard sections should be suspended. The Crowns was where most of the visitors went, taking the skip ride taken in 1865 by the Prince of Wales. With the Crowns flooded visits would either have to end or go to another section of the mine. By August 1874 severe economy measures had reduced expenses by nearly 50%, the mine made a small profit but it has to be assumed that an end to entertaining visitors was one of those economies.